We are a dynamically developing company established in 2013 by people with long years of experience in the packaging industry field. Our aim is to optimise the packages of our business partners, either by using the most efficient packaging or by simplification of the actual packaging process. We do not strive to sell the package - we seek improvement of the packaging material as well as the packaging process. We are not looking for customers, who will buy packages but business partners, whom we will help with the packaging process at their company. This leads us to the fact that we approach every single potential business partner with individual care and each draft packaging meets exact requirements for packaging. Professional service equally goes without saying, either in case of designing a new packaging or customer service for the existing projects. On the organization it is put increasing emphasis on the part of consumers and state institutions focused on quality products and services. Managers of organizations are forced to deal with the quality and stability of its processes, management and continuous improvement, to be able to meet customers' needs at a reasonable price. 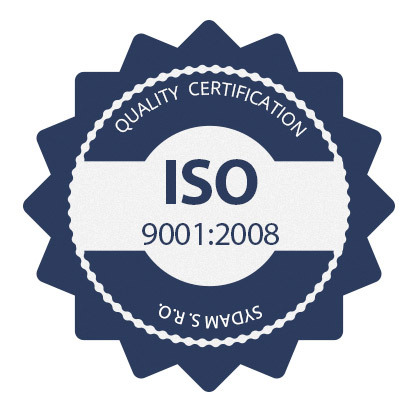 We have therefore also my aim to ensure and maintain the quality and the above principles established quality management system (QMS) according to ISO 9001, which we were certified in 2015.